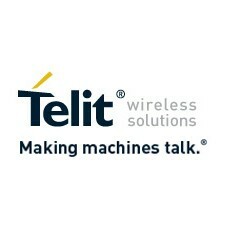 Telit Wireless Solutions, a leading global provider of high-quality machine-to-machine (M2M) modules and services, today debuted the Jupiter SL869-V2S, GPS Module, designed for easy migration between a full-GNSS solution for top-ranked applications and a simple GPS-only solution for less demanding applications. The Jupiter SL869 V2S supports GPS as well as QZSS constellations and is ROM based. Geo-location data is delivered using NMEA protocol through a standard UART port. It supports ephemeris file injection (A-GPS) as well as Satellite Based Augmentation System (SBAS) for increased position accuracy. Its onboard software engine is able to locally predict ephemeris three days in advance starting from ephemeris data broadcast by GNSS satellites, received by the module and stored in the host flash memory. The SL869 V2S can replace the JN3, SL869 or SL869 V2 – allowing customers to design once and interchangeably mount the appropriate solution depending on the required features. The xL869 is Telit’s GNSS unified form factor family which allows customers to select among different GNSS technologies and feature sets. Modules in this family are offered in a 16 x 12.2 mm, 24-pad, LCC package. “The new SL869 V2S module is designed to be easily swapped with other xL869 modules for enhanced simplicity and scalability,” said Taneli Tuurnala, CEO of Telit GNSS Solutions.